Join artist Jesse Wine for an exclusive tour of his exhibition, Young man red at BALTIC Centre for Contemporary Art, Gateshead. 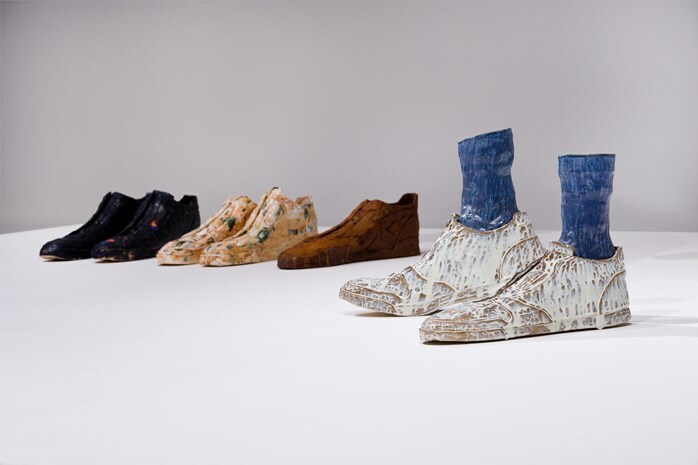 Jesse Wine (born Chester, 1983) works mainly with ceramics and uses traditional techniques to explore process and chance. 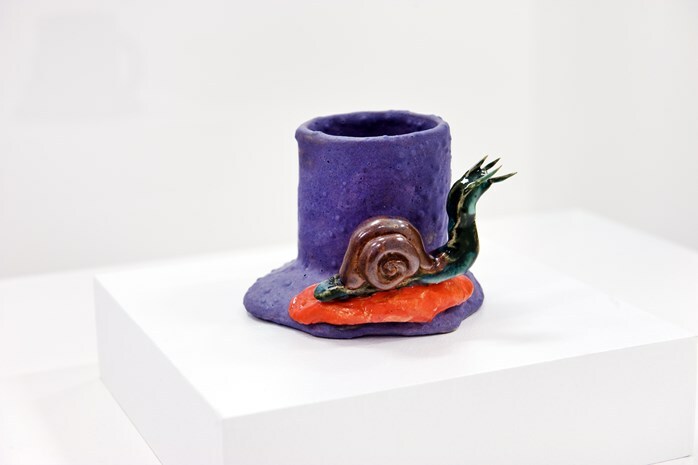 For his exhibition in the Ground Floor gallery at BALTIC, Wine’s installation of new work responds to the quirks of modern life and pays homage to the other artists who have inspired him. In the main space, Wine has constructed three ‘scenes’ comprising oversized ceramic puppets which act out activities from the artist’s everyday life in his south London studio. Each puppet is a self-portrait made up of a series of ceramic elements which suggest the human form – a hat, torso, feet or shoes. 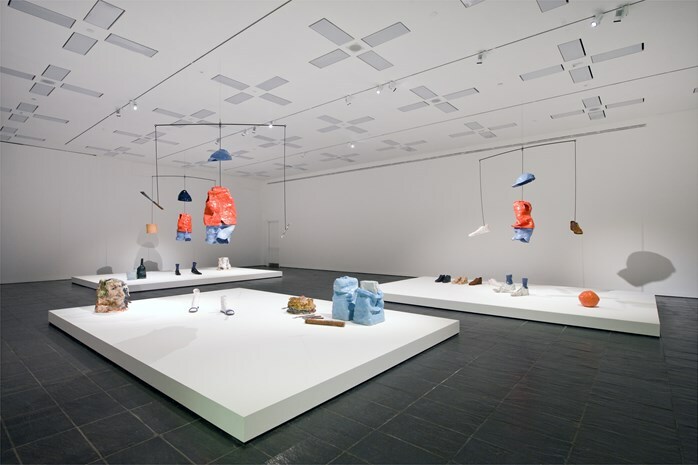 Other objects complete the narrative of each scene – scaled-up bags of clay, tools, unfinished sculptures, a discarded lunch, Reebok Classic trainers. In the adjoining space, Wine presents a series of sculptures which copy or mimic other artists’ works. Referencing the work of Peter Voulkos, Ken Price and John Mason, Wine has remade some of his favourite sculptures and situates these works alongside his own, providing a new frame of reference.